A growing number of Mississippi adolescents believe marijuana is not harmful, a trend that substance abuse professionals say stems from the drug's changing legal status in other states, such as Colorado. Marijuana use among adolescents has actually fallen over the past 10 years – 9 percent of 6th through 11th graders say they've used the drug in the past month, down from 12 percent a decade ago, according to Mississippi’s Smart Track survey. But attitudes have moved in the reverse direction: in 2003, 15 percent of students said they saw no risk of harm from using the drug. 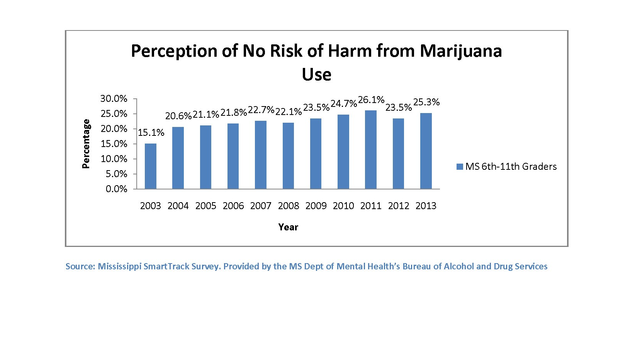 "Now, in 2013, a quarter, 25.3 percent, of our kids think there is no risk of harm from marijuana use, and that's a problem," says Jerri Avery, director of the Bureau of Alcohol and Drug Services for the Mississippi Department of Mental Health. "When you don't perceive risk, that's when use tends to go up, because you're not going to do something if you view it as harmful." Avery says this attitude change appears to be a result of the legalization of the drug in other states, for recreational or medical use. "First of all, you've tacked on the word 'medical' to it, so now marijuana looks like it has some significant medicinal value to our adolescents, when the truth is, it does damage to the way their brains are forming, and it's not good for their health," she says. 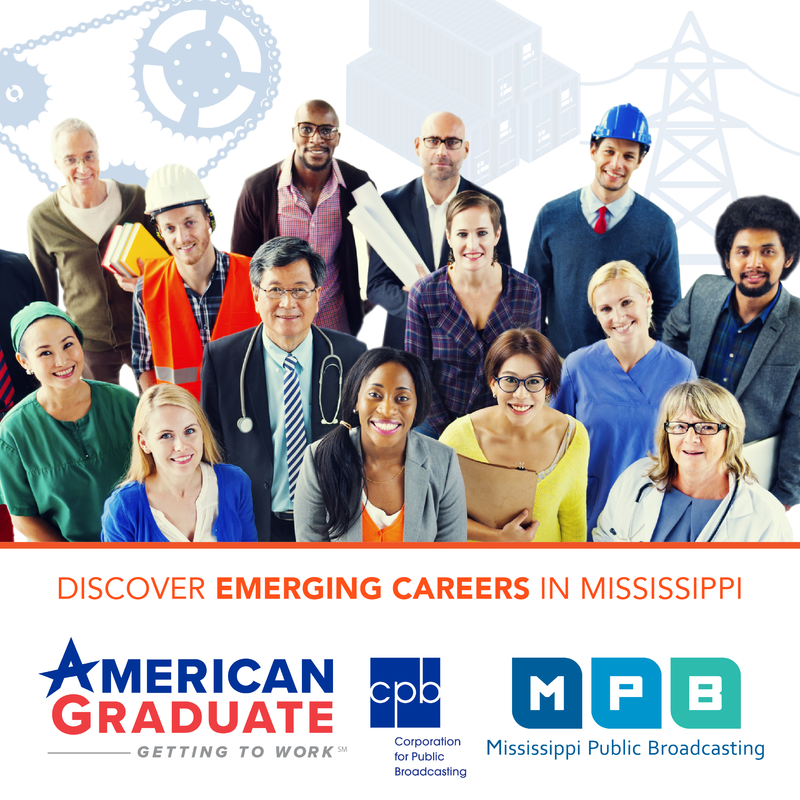 Carolyn Anderson, director of the Gulf Coast Substance Abuse Taskforce, says this national attitude shift on marijuana may be leading to the mistaken perception that everybody is using it - in fact, as the numbers show, 90 percent of Mississippi students are not using marijuana. "Not everybody is doing it, but the perception is there," she says. "And if the perception is there that your friends are doing it, and your parents aren't real upset with it, that it's a rite of passage almost - once that perception is there, then it's like, well, I might as well do it." A national survey released in December found similar attitude shifts are happening among high school students around the country.